Save Marinwood-Lucas Valley - our community, our future: What would Thoreau think of "Smart Growth" ? As a leading environmentalist Thoreau was sensitive to the harm created by man's impact on the environment. He was also an individualist and took his liberty seriously. His choice of simple living in natural surroundings would be prohibited under the high density housing "guidelines" given to us by ABAG housing mandates. 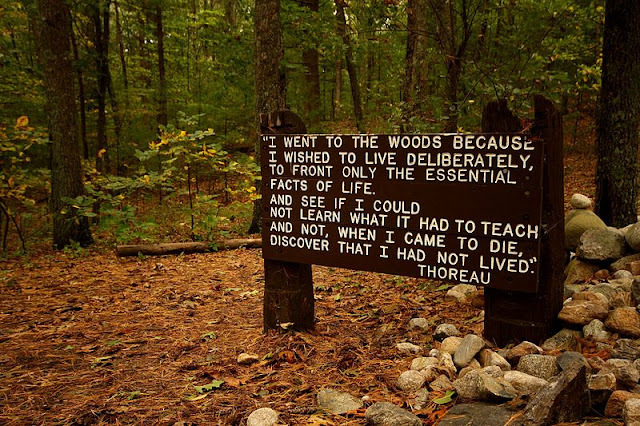 Would Thoreau agree that development should take place on wetlands, ridgetops and greenbelts? Would he approve that CEQA environmental reviews should be "streamlined"? Do you think he would he think of "ministerial" approval of development in lieu of democratic oversight? Would Thoreau approve of "public-private partnership" with developers? The Association of Bay Area Government (ABAG) threatens to over develop Marinwood-Lucas Valley. High density developments will turn our green suburban oasis into an urban bus stop apartment development. Is this the community we want? 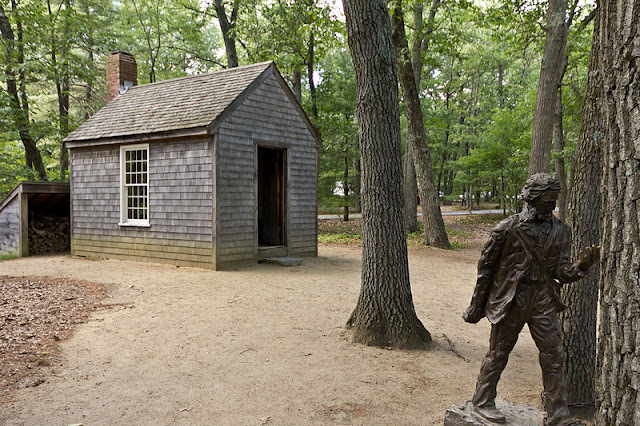 I am certain that Thoreau, champion of "living on one's own terms" would be outraged over the current ABAG housing mandates that will grow our population by 25%. How ironic that so-called "environmentalists" are leading the charge for "Smart Growth"!! Keep our right to self govern our community. Keep our right to good schools, less congestion, and sensible land use. Learn more about the 2012 Housing Element. Talk with your neighbors. Join us in spreading the word about the proposed changes to our community. Vote. Note: Transcendentalism is a philosophical movement that developed in the 1830s and 1840s in the Eastern region of the United States as a protest to the general state of culture and society, and in particular, the state of intellectualism at Harvard University and the doctrine of the Unitarian church taught at Harvard Divinity School. Among the transcendentalists' core beliefs was the inherent goodness of both man and nature. Transcendentalists believed that society and its institutions—particularly organized religion and political parties—ultimately corrupted the purity of the individual. They had faith that man is at his best when truly "self-reliant" and independent. It is only from such real individuals that true community could be formed.